This article explains how to make money from home herbal business. The internet age has brought a whole world of information to our fingertips, many people can now make well-informed decisions about their health by choosing what works best for them. With the spread of so many deadly infectious diseases, the dishonest pursuit of profit by some pharmaceutical companies, and the growing awareness of how the human body responds to medicines, people are now finding a more suitable alternative in herbal medicines as they are seen as being healthier and safer. There is now a global trend towards natural medicines which has been further fuelled by the support of popular figures like Oprah Winfrey and Dr Oz. This support is further backed by scientific research both from ancient history and modern discoveries. This explains why our ancestors lived longer, healthier lives and why over 30% of all medicines produced today are of plant sources. In Asia, where traditional herbal medicine accounts for over 50% total medicinal consumption, the life expectancy averages are 80 years. 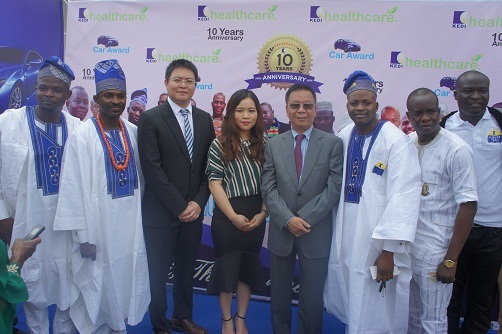 Here in Nigeria, there has been a rising uptake of herbal formulations from China, with companies like Kedi healthcare making steady inroads to the medicinal sector. • Highly effective: This is one of the main reasons that makes herbal medicines popular, in many health conditions that have defied conventional medicine, herbal remedies have offered renewed hope to people by providing alternative and effective solutions to health problems. • Less toxicity: Another common reason why many choose herbal medicines as opposed to conventional drugs is the reduced level of toxicity as they are produced from natural plants without synthetic additives. • Reduced side effects: All conventional medications come with some side effects, some of which could be very detrimental. Herbal medicines present minimal levels of side effects, with some of them having none at all if properly administered. • Affordable: Herbal medicines are relatively cheaper for maintaining good health as their formulations are naturally available and their sales are not controlled by greedy pharmaceutical companies. 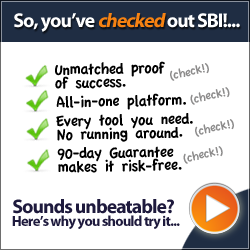 • Start from home: You can make money from home herbal business by setting it up from home. You can easily start out from your house without the need of renting an office space. Most successful herbal businesses were and are still home-based. • Use the internet: The internet has provided one of the most productive tools for businesses to quickly grow into profitable ventures. By setting up a simple website to advertise and sell your herbal products, the World Wide Web puts your home-based business before a global market with potential customers from any part of the country. The internet is a proven platform to make money from home herbal business. • Get a mentor: Pause here. This is a very important step in setting up a successful herbal business, but it is often overlooked by many. Before even starting out, you should first get a mentor who must be well established in operating a similar business. This will help provide you with the needed guidance and enlighten you on the challenging areas of the business. • Choose a product: A strategic decision in your business is choosing the right herbal products. This forms the central niche of your business operations, a mentor can be very useful here having tested the market to know the most profitable options and those that offer good prospects for business. Kedi healthcare products have always remained as one of the highly recommended choices to make money from home herbal business in Nigeria. • Use your network: Being profitable is all about making sales, and a sure way for making regular sales is through network marketing. Starting with your closest friends and relatives, to colleagues and social media contacts, you can build a strong network that ensures regular sales.